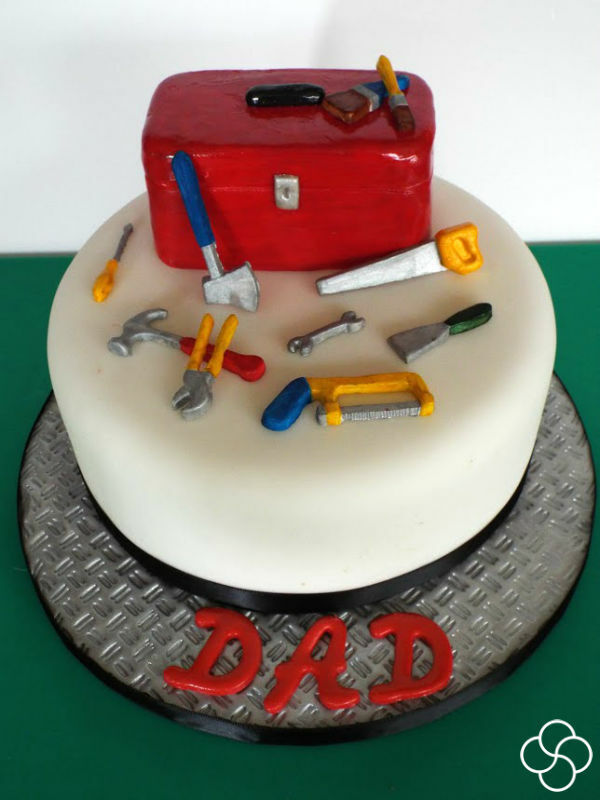 Remember that Father’s Day is on Sunday 21st of June 2015! With only weeks to go, sometimes it can be hard to find the perfect present for your Dad. Cake is always the way to a Dad’s heart, so why not follow our handy tutorial to make a DIY themed cake! We’ll show you in step by step detail how to create basic DIY cupcakes, giving you all of the skills to create a larger cake if you wish. 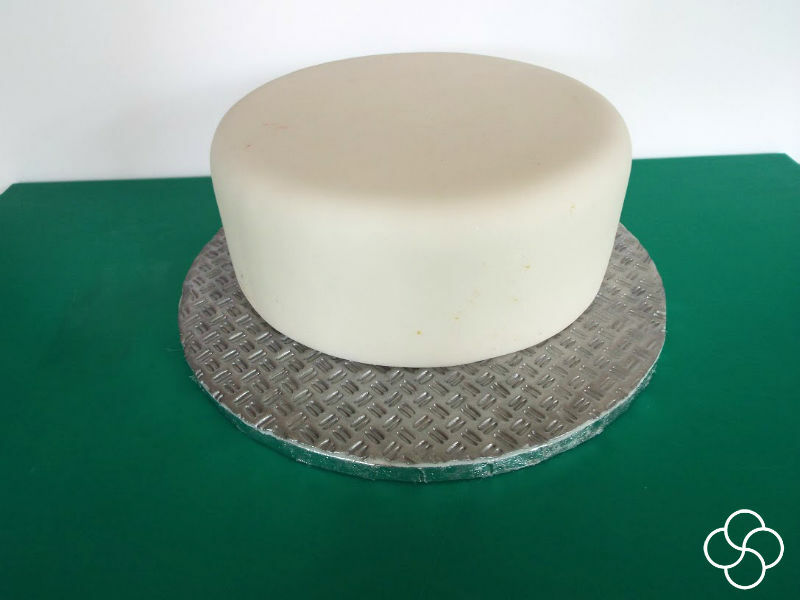 We’ll be using Makin’s® Push Molds and Makin’s® Texture Sheets to quickly create detail on our cakes! 1. Begin by creating a sugarpaste topper for your cupcakes. Roll out a small amount of Massa Ticino Bride White Sugarpaste so it is an even width. 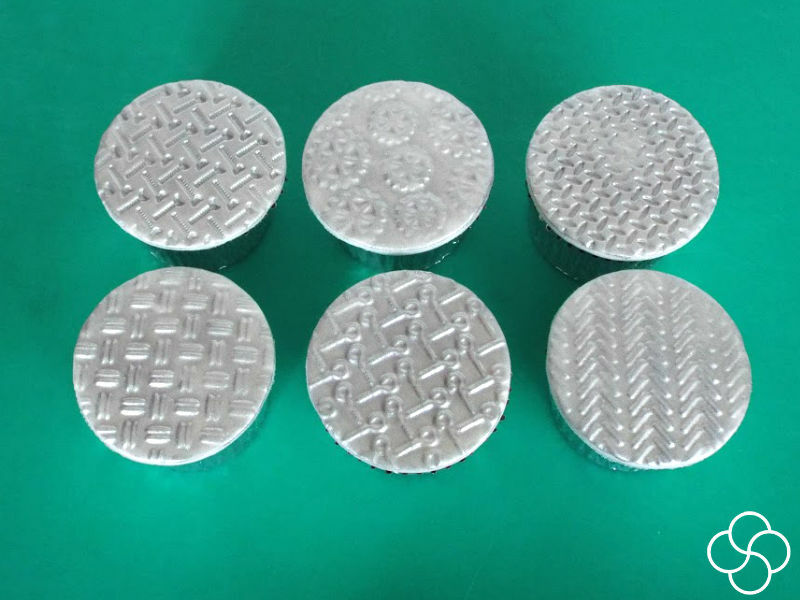 We tend to keep our cupcake toppers about 5mm thick. 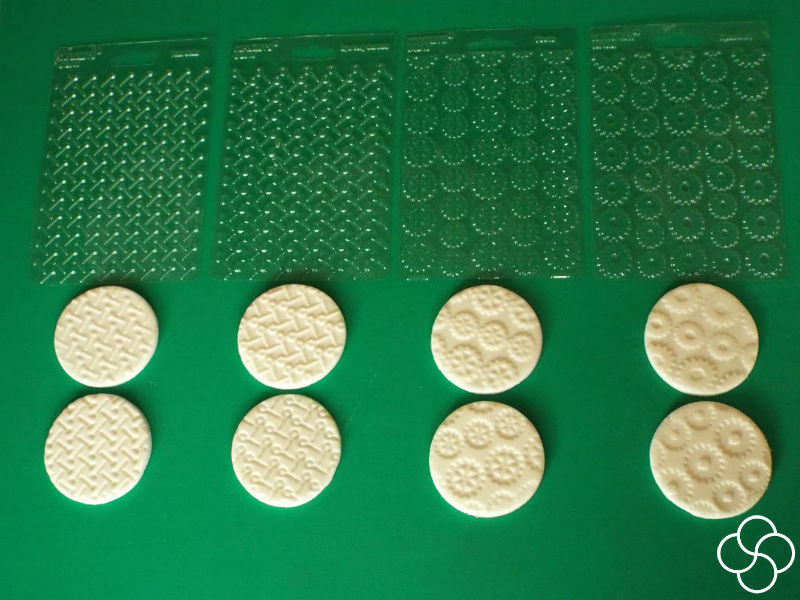 Then place your chosen design of Makin’s® Texture sheet (embossing sheet) on top of the sugarpaste with the indentations facing your sugarpaste. 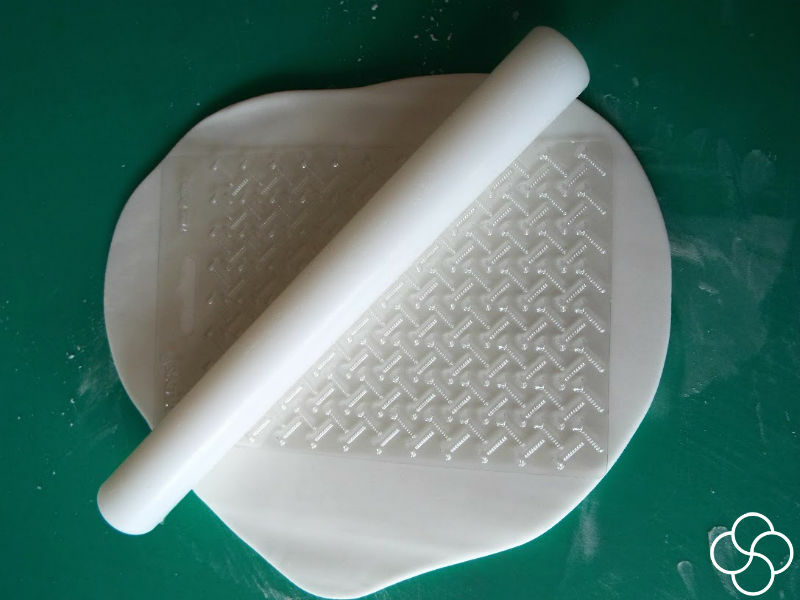 Roll your rolling pin over the top of your Makin’s® Texture Sheet and watch the texture appear! 2. You can create a range of different textured sugarpaste toppers or use on design! 3. Dust your sugarpaste cupcake toppers with a silver luster dust to give them a metallic finish, this will really emphasise the details. Then adhere your toppers to your cupcakes using some butter cream. 4. Lightly dust over your Makin’s® Push Mold with some corn flour (this will help you work your sugarpaste into the mould and remove it with ease). Begin to push a small amount of sugarpaste into the mould making sure you fill all of the cavities. Repeat this for all of the shapes in the mould. 5. 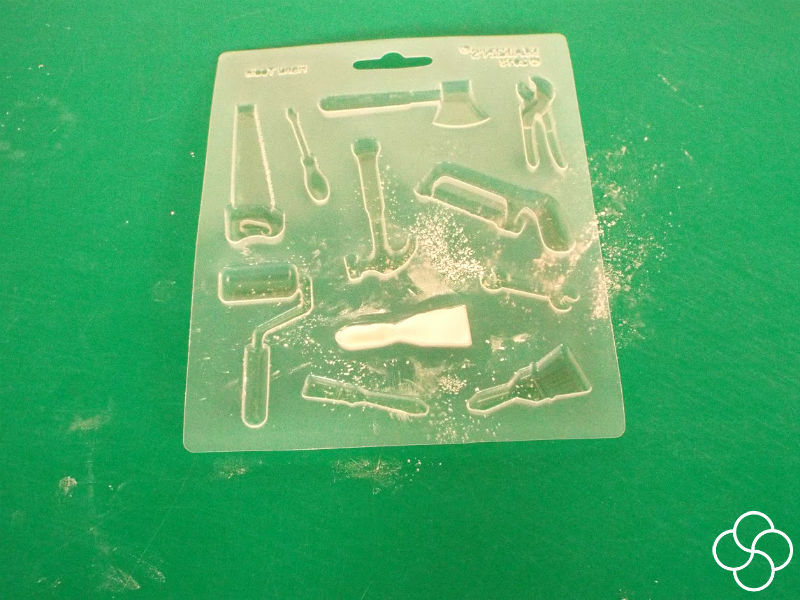 Turn your mould over and push the outside of each cavity, your sugarpaste tools will easily pop out. Then using a selection of luster and petal dusts begin to paint your sugarpaste tools. Use the lid of your dust as a palette and pour a little dust and lemon extract in mix them together and you’ve got your paint! 6. 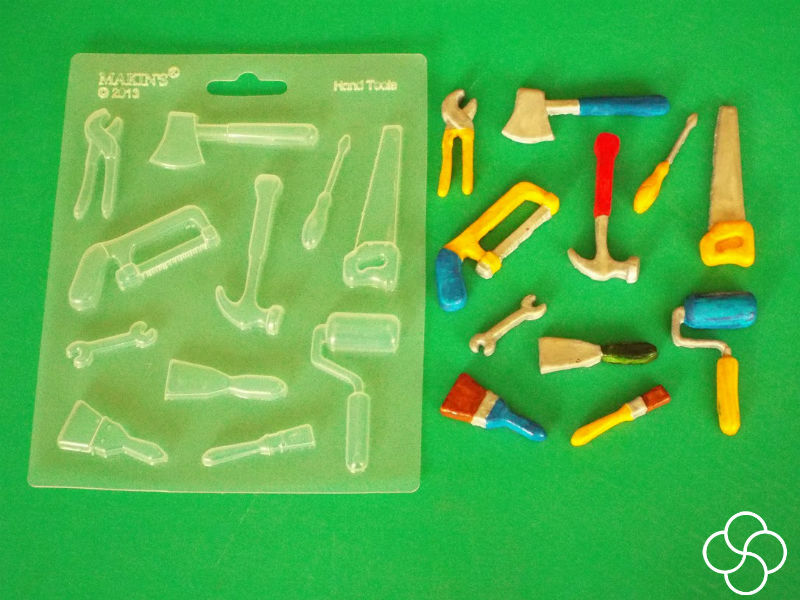 Use a range of colours to paint all of your sugarpaste tools and leave them to dry. 7. 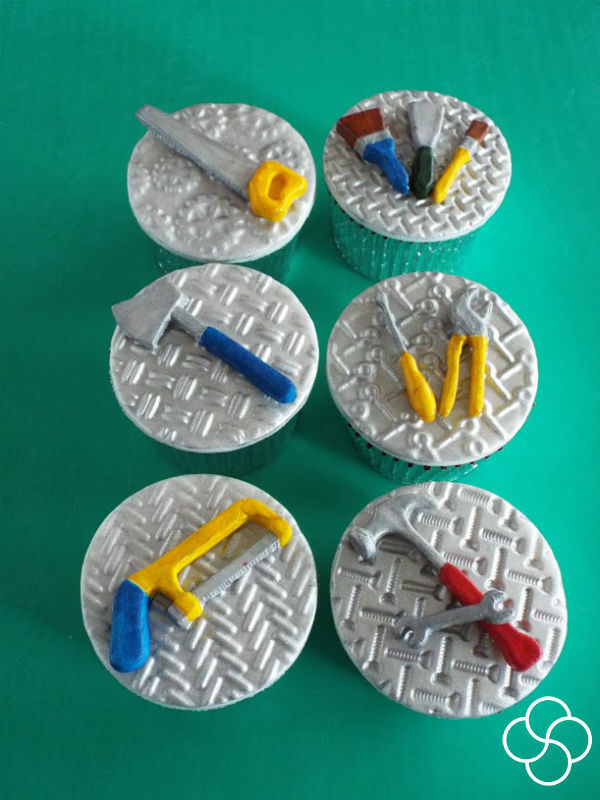 Then use a little edible glue to stick your sugarpaste tools on top of your cupcakes. 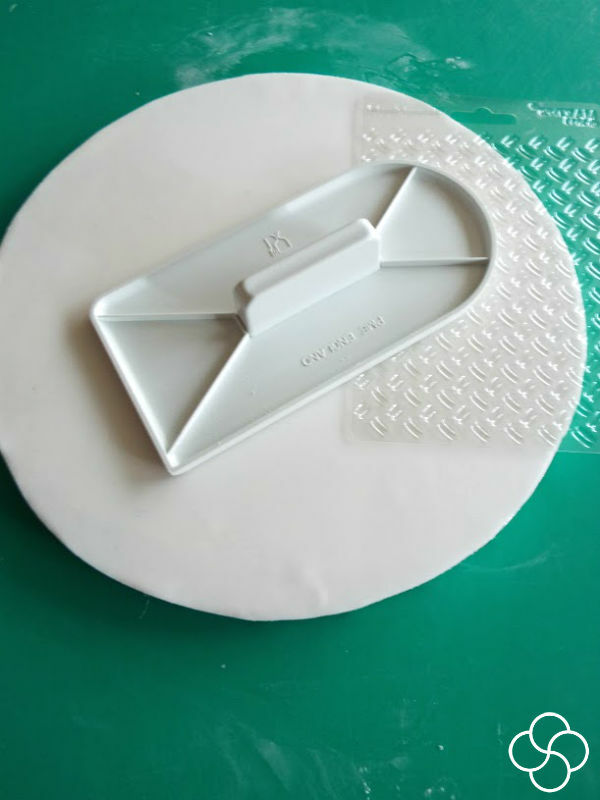 Cover your cake board with White Sugarpaste and use Makin’s® Texture Sheet (embossing sheet) to create texture. 9. Create a paint using a silver luster dust and lemon extract and paint your cake board. Then use edible glue to attach your cake to the board. 10. 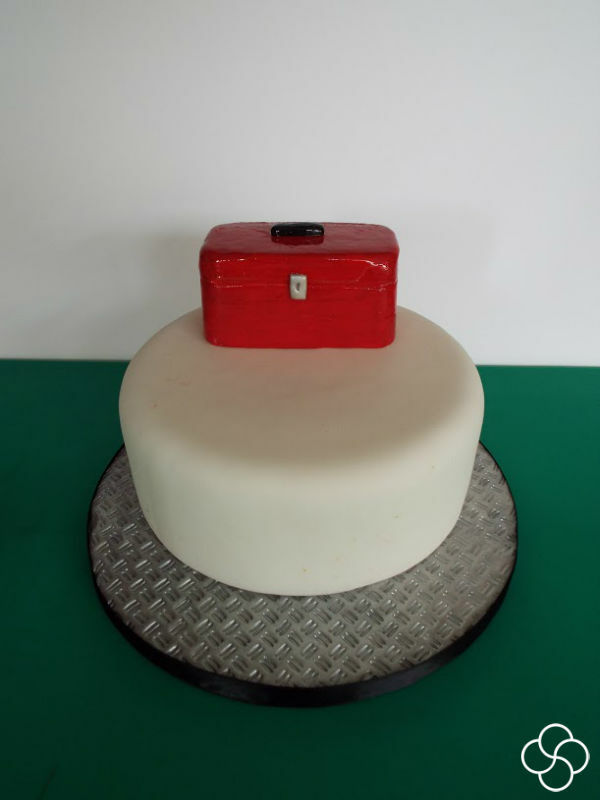 We created a small tool cake using a small rectangular cake tin to bake our cake in which we then covered in red sugarpaste. We added details and the illusion of lid using our Sugar Shapers and the lock and a handle were made from left over white sugarpaste we painted. A spritz of Shell and Shine Spray gave the glossy finish. This was then attached to our cake using edible glue. 11. 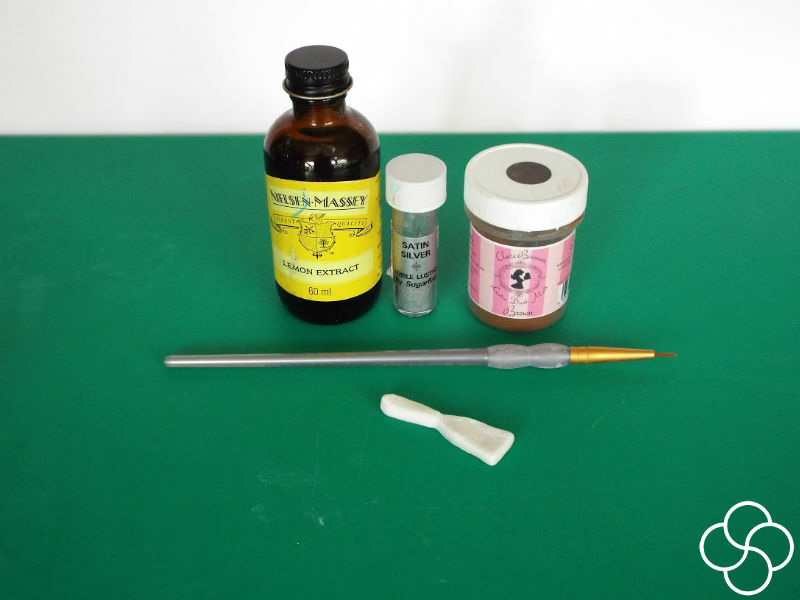 Use edible glue to stick on your sugarpaste tools and finish your cake with some ribbon around the board!